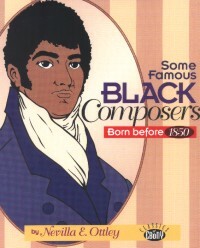 written by Nevilla E. Ottley in 1994, and features composers from the 1700s including Ignatius Sancho, Jose Silvestre de los Dolores White, Le Chevalier de Saint Georges, Frank Johnson and others from around the world. Targeted for elementary and middle school students, it has material that high school students can also glean for reports. Cost is only $8.39 (incl. s/h) Available now. 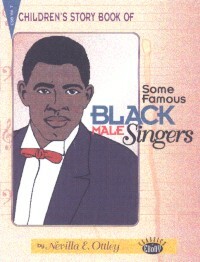 by Nevilla E. Ottley [$16.50 incl. 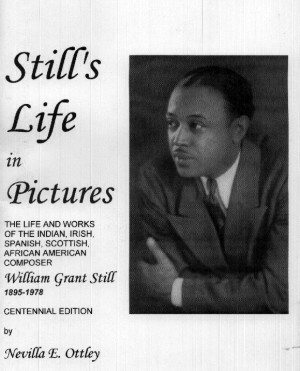 s/h] is a 50+ picture chronicle of the life of composer/musician William Grant Still. It features the classification of his 180+ works, film scores, selected discography and a short bibliography. His title, Dean of African American Composers, was awarded him since he pioneered so many musical activities for people of color. 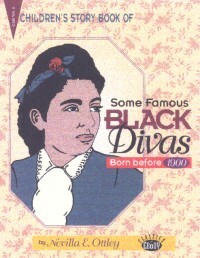 Some Famous Black Divas born before 1900 by author, Nevilla E. Ottley, is to be released Spring, 1999. This book is just an introduction to some of the legendary and pionering Black American female singers who performed opera, recitals, oratorio, and were also church soloists. Elizabeth Taylor Greenfield, Madame Marie Selika, Anna (featured on the cover) and Emma Hyers, Luranah Aldridge, Flora Batson, Sylvia Alice Olden, Madame Sissieretta Jones, Lillian Evanti, and, of course, Marian Anderson. 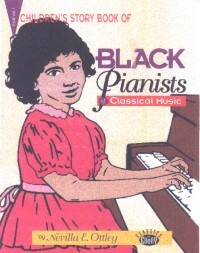 Black Pianists of Classical Music was first released in May 1994. Written by Nevilla E. Ottley, this book which targets late elementary and middle school children, however, the information can be used by high school students, also. Some of the pianists are Cleveland Luca, Blind Tom, Samuel W. Jamieson, Scott Joplin, R.N. Dett, Hazel Harrison, Philippa Duke Schuyler, and Natalie Hinderas. The second edition is to be released in the Summer of 1999. A piece for an intermediate student, this waltz's tune is taken from "Give Me a Cot in the Valley I Love". This joyful little piece is in G-major, and requires a right hand that loves to play in octaves. The left hand plays a few octaves, but the usual I-IV-V7 chords and broken chords. This chamber music is written for piano, flute or violin, with obligato for flute, Kent bugle and trumpet. It can be played by late intermediate students. No. 3 "Valse de la Reine"
for intermediate and advanced pianists. "Three Dream Dances" and "Three Fours"
An art song for voice & piano. LOUIS MOREAU GOTTSCHALK, "Piano Music of Louis Moreau Gottschalk"
[Dover 0-486-25807-6, $9.95] This represents some of the original piano rags. There are more. But the most popular are herein--such as "The Maple Leaf Rag," "The Entertainer," etc.,and are a delight to play and listen to. For intermediate to advanced pianists. SCOTT JOPLIN "Treemonisha," opera in 3 acts, (1913 & 1915) edited by Nevilla Ottley [CEP-1-886486-25-5, $25] This edition has no cuts, and includes some of the updates of sections that Joplin did in 1913 and 1915. Ottley also included an article on the opera in the beginning of the book. An extended work for late intermediate and advanced pianists, from the Allegro con brio introduction, through many sections from the Meditation, Scherzo, Larghetto, grandiose finale in the Tempo di march. SAMUEL SNAER "Mass for Three [male] Voices--Gloria, Agnus Dei" [$7.50] This piano/vocal score is for Tenor I, Tenor II, and Bass, written in Latin. HENRY (HARRY) F. WILLIAMS "Sunny Side Polka" (1852) for piano. Also available are the Basic Piano Library piano teaching books of Alfred Publishing Company.